"CONGRESS EARNS ‘NERO AWARD’ FOR FIDDLING WHILE AMERICA IS INVADED Why Democrats’ actions are especially egregious." Why Democrats’ actions are especially egregious. 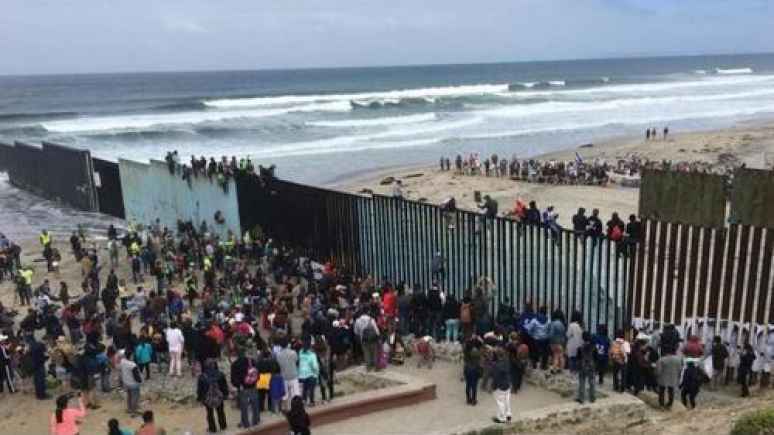 My article for FrontPage Magazine today is predicated on the the refusal of the Democrats to provide the funding to finally construct a secure barrier to secure the dangerous U.S./Mexican border to prevent the entry of huge quantities of narcotics and other contraband and the huge numbers of illegal aliens who evade the critical and legally mandated vetting/inspections process conducted at ports of entry by CBP personnel. This poses a direct, immediate and massive threat to national security, public safety, public health and the livelihoods of American and lawful immigrant workers. These failures cost thousands of innocent lives each and every year in towns and cities across the United States. Yet Chuck and Nancy insist that there is no crisis! It must be noted that, in short order, that wall would pay for itself and save many innocent lives- yet the Democrats insist that they will never pay for the wall! With the New Year having just begun, Americans must make it their New Year’s resolution to get involved in politics. The future of our nation and our children and their children hang in the balance! Ignorance is not bliss. Knowledge is power, so my article provides some cold hard facts for you to consider and hopefully share with others. It is not “Anti-Immigrant” to be “Pro-American” it is also not “Anti-Immigrant” to be pro-immigration law enforcement! Previous Previous post: "SECURE BORDERS PROTECT IMMIGRANT COMMUNITIES: Immigrants are the most vulnerable to transnational gangs." Next Next post: "JUDGES GONE ROGUE: Judge embraces “Lawfare” to obstruct immigration law enforcement."